From the moment John Suzuki opened Rezfest 2018 by asking everyone to turn to each other and introduce ourselves to our neighbors we knew this would be an inclusive event. The chance to meet so many people interested and passionate about vacation rentals means a huge opportunity for the YourWelcome team to learn how we can help you better connect with your guests in a meaningful way. After a warm welcome from John Suzuki, John Kim then took to the stage and told a fascinating story about his niece turning 13 and how getting older is a positive thing. His niece asked what life was like when she turned 1 and John regaled us with some history from 2006. Nokia 1600 phone was the number 1 selling phone (with 130 million sold). 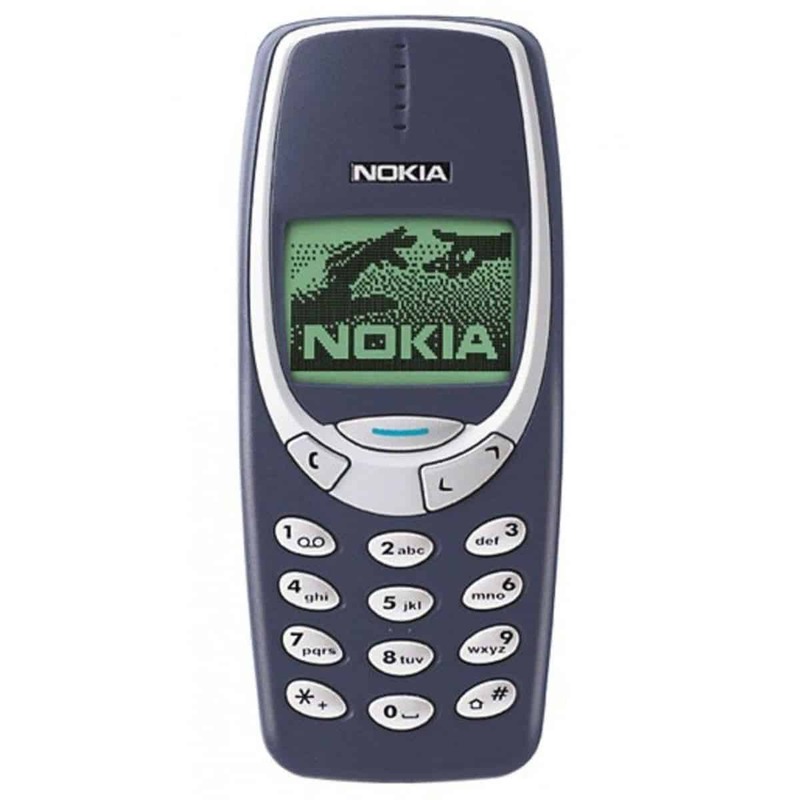 John rightly pointed out that to have envisioned the iPhone in its current form would have been something straight out of a sci-fi movie when the Nokia 1600 was all you had ever known. To talk about Virtual Reality and a world where drones deliver online orders, where 3D printing means we can make anything (even food!) and where the world features robotics in toys and rockets that can land not just crash, would have made us sound crazy. What was this all leading up to and how does it relate to the travel industry? Well, he then asked us to pause and find context for what is coming and try to envision the next 12 years for what they could be. 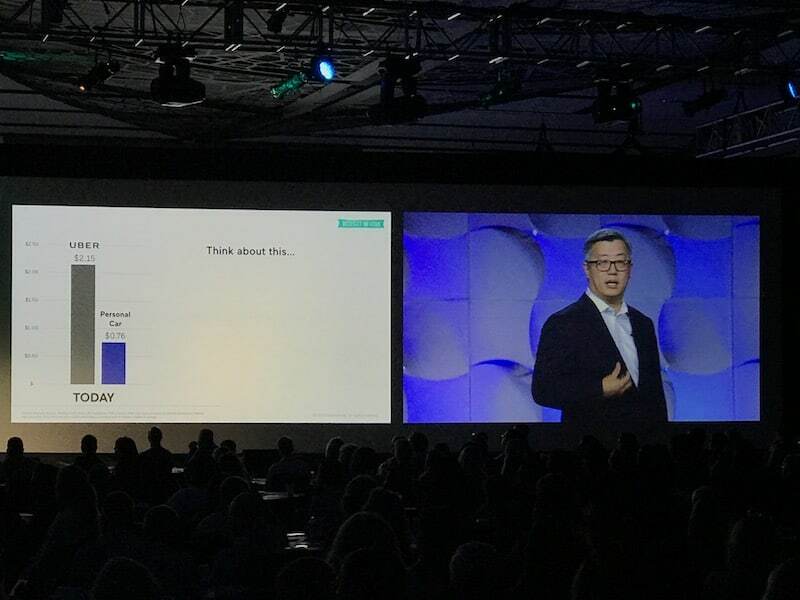 John Kim continued this fascinating speech by reminding us that it was only in 2004 that most fast food restaurants just took cash; compare that to nowadays where you don’t need to speak to anyone, you order on a screen, then collect from a counter. He shared that McDonald’s plan to transfer 1000 stores every 90 days from cashier to kiosk-based stores and how fast this innovation is changing how we live. Clearly, automation is the future and we need to rethink our processes to keep up. But what happens to the McDonald’s workers? His next example was that of the ride-hailing service Uber. Back when Uber began, the cost per personal car (road taxes, petrol, parking permits, etc.) was much lower than hailing a car (almost 3x more expensive), yet the industry started booming (44% up in the last year) due to the convenience. Ride sharing companies are betting on the cost of ridesharing dropping (through things like fleet buying, automated cars, reducing accidents, etc.) which means their valuations will skyrocket. In fact, in 2020 (just two years away) the economics of owning a car will flip to being 3x times more expensive than using Uber at which point the necessity (for most people) to own a car becomes irrelevant. Is your current car the last car you’ll ever own? What happens to all the workers in this industry? For what started to sound like a dismal forecast of the future where humans are working for machines, John went on to talk about Jack Ma (CEO of Alibaba – the ‘Amazon’ of China) who thinks AI, machines, and automation should support humans rather than replace them. He went on to say that as the human race, our IQ, EQ (ability to express emotions) and LQ (a persons Love Quotient – the ability to care for others, kindness, courtesy) is what sets us apart from machines. All of these things are key to hospitality and is why 1 in 5 jobs that are created are in the travel industry. Being human will be our industry’s greatest strategic advantage. As John then pointed out, Facebook is considered the biggest social network with 214 million US users. However, one could say that it’s actually the travel industry with our 3.2 billion face-to-face connections last year. 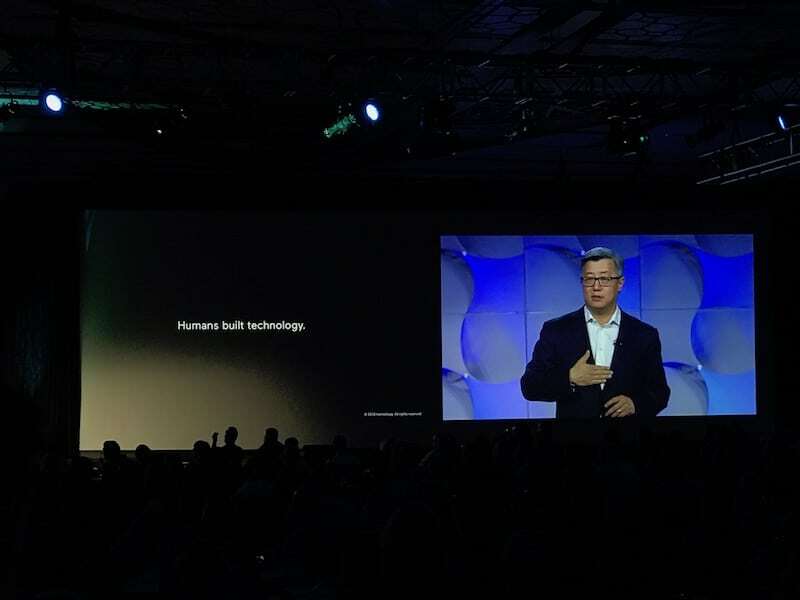 In summary, the future is coming and automation and AI will be there to support us in creating more meaningful and memorable connections with our guests that create lasting memories for them. With the hairs on the back our necks standing we all believed and we all cheered as John left the stage knowing that this inspirational speech would stick with us. 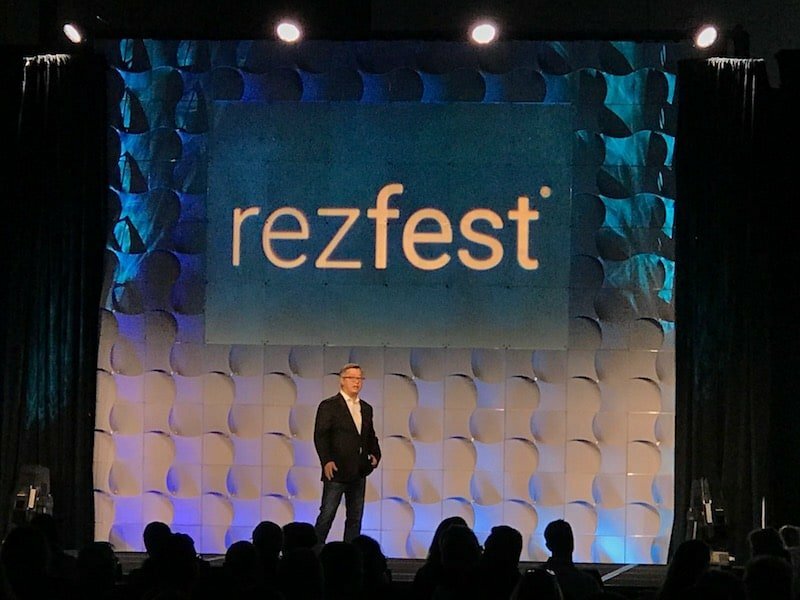 Here’s to a great Rezfest 2018! To learn more about how YourWelcome can play a part in your vacation rental experience and how we can help you connect with your guests in meaningful ways just stop by our stand and we’d be glad to chat.